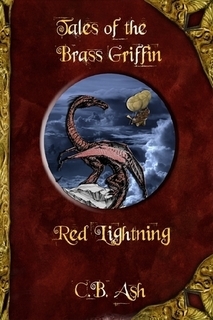 Captain Hunter raced down the stairs of the Brass Griffin. He hit the main deck at a full run. Behind him, the cannons erupted with another torrent towards the Revenge. All across the main deck, the air was alive; the blue-violet glow of St. Elmo’s fire crackled and hissed along the line of artillery, bathing the crew in an otherworldly light. “Trust me, Conrad,” Anthony replied with a grin and a brief yet reassuring grip on the quartermaster’s arm. The Griffin shuddered as another artillery shell clipped her stern. Wood cracked and the vessel seemed to rumble in pain. William flexed a singed left arm, then put a hard look to the Captain. “Beggin’ ya pardon, Cap’n, it needs doin’. It’s for the good a’ the people we’re here to get,” Mr. Falke said firmly. Hunter hesitated. William had been through enough these past months, from nearly being murdered by a raving lunatic in Edinburgh to almost being burned alive in a scuttled airship only a day or so ago. The crew needed a medic, but Anthony did not want to put the young man through any more. Once the three arrived, William lead the others across the deck to the port side of the Brass Griffin as she turned to pull ahead of the Revenge. Around them burnt airship debris rained down, pelting the deck at their feet with the soot-driven rain, falling from the gray clouds of acrid smoke. Throwing open the wooden locker when they reached it, O’Fallon handed out coils of rope and dull steel grappling hooks. When the locker was empty, they raced off again, this time for the stern winches. O’Fallon, reaching them before the others, immediately began to rapidly thread his coil of rope into one of the machines. “We will know,” Hunter replied evenly, threading his rope into a second winch. “But,” the young tracker began. His thought was interrupted as he saw the Whirling Strumpet’s sails and gas bag rising up behind the Revenge. A twin set of cannons – positioned on either side of the Strumpet’s bow – belched flame and smoke! Aboard the Brass Griffin, a cheer echoed across the deck as the crew watched their ally move into position. Suddenly, two long, thin objects shot out, each trailing gray-white coal smoke from a small pair of brass exhaust pipes. Behind them, the small propeller screws spun frantically while stubby, brightly colored bat-shaped fins popped out on either side. Screaming like a pair of wild banshees, the twin devices slammed into the stern of the Revenge, hitting the airship hard enough that her rear bucked high into the air, knocking her crew about the deck like loose bowling pins. The Revenge roughly sunk back down, snapping two of her lines connecting gas bag to deck, smoke and fire billowing out of her rear. Her propellers ground to a halt with the sound of nails scraping across new steel as the twisted metal from the explosion wrapped tightly around the screw axle and fouled the mechanisms. “Oh,” William said, wide eyed, as he watched the larger ship behind them buck like a wild horse that had been slapped firmly on its rear. The rigging jerked and bounced the ship, the gas bag straining from the abuse. On the deck, those not dazed from the jostling about scrambled for safety. “Aye!” came the unanimous cry from all around. In moments, stubby harpoon launchers, powered by a clockwork-wound bow and resembling nothing short of an automatic wound ballista fired with a series of pops and metallic twangs. 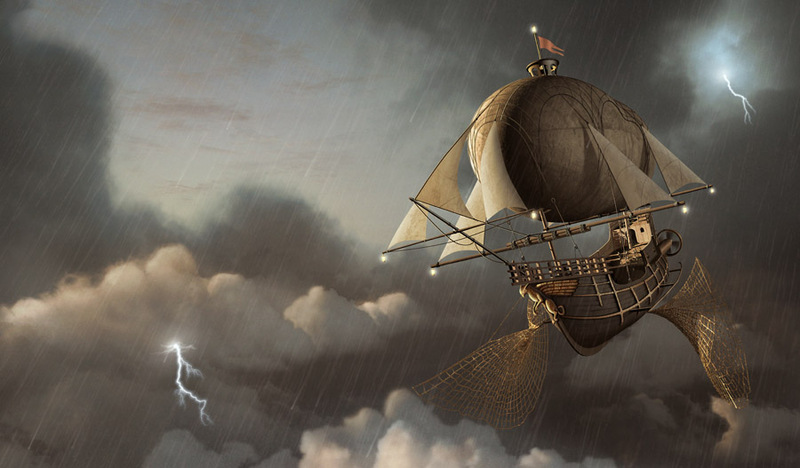 Grappling hooks sailed majestically in the air, their ropes snaking out behind them. They arched up, then gently turned downward. Just as quick as it started, their graceful arc turned deadly as they slammed onto the Revenge! Two hooks bashed through ruined barrels – long since victims of an earlier broadside barrage. Another one deflected off a mast, then slammed into a Fomorian, dragging him across the deck to pin his arm into the wooden railing. The last bashed a Fomorian from his seat at a lightning cannon, the grapple’s spikes driving home in the now empty seat and metal frame near the water intake. “Aye!” came the exuberant reply. The Griffin jerked hard, almost knocking the five crew members off their feet. The ropes snapped taut, and gears far below deck audibly whined with the strain. 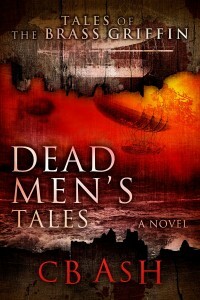 A whine snapped through the air, and Jenkins grunted as a rifle bullet slammed into his chest, hurling him to the deck! Grapple lines sailed out from the Revenge and hooked the Griffin firmly on her rail. Across the wide space of night air, riflemen – Fomorians who had not transformed – took hasty aim with their Spencer rifles and let loose a sharp volley. Bullets rained out over the deck; Hunter and his crew dove flat to the deck planks, the bullets screaming overhead. Once the first volley subsided, Hunter scrambled onto one knee. In a fluid motion, his revolver was in his hand. His first shot dropped a Fomorian rifleman where he stood, the second caught another one wielding an ax. 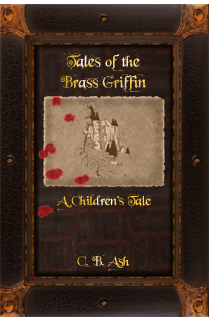 The four men stood their ground while more of the Brass Griffin’s crew raced over to help them. All around, the battle exploded in a bloody ferocity. The ships danced about in the air: The Griffin, her bloody claws sunk deep into the Revenge, hauled away at the larger vessel. The Revenge, however, bit back, her crews firing desperately at the Griffin, trying to make a beachhead where they could board. Behind the Revenge the Whirling Strumpet, brightly colored flags flying in a wild display around her sails and gas bag, harried the Fomorian ship with shot after searing hot shot of chain munitions. Between each artillery volley, the lightning cannons erupted with crackling bursts of electrified, high pressure water jets across her deck. As the Fomorians fought back, Hunter barked another order to fire, then squeezed the trigger on his revolver. The Griffin’s cannons crackled then roared to mad life, scouring the Revenge. The Fomorian airship struggled like a burnt and bloody rabid beast, clawing the Griffin with bullet and small cannons – a desperate gamble to soften the smaller ship while a pack of Fomorians downed their Hellgate elixirs to begin their nightmarish transformations. Captain Hunter looked over the railing toward the Revenge, then around the Griffin’s deck, searching for inspiration. His eyes locked onto one of the mooring lines which lead across to the grappling hook now embedded in one of the lightning cannon on the Revenge. With a savage grin, he reached over and yanked the winch lever back, causing the device to reel in the rope. “Cap’n? What are you doing?” William asked, panicked when he noticed the distance slowly beginning to narrow between the ships. With a resounding pop, the tube snapped free, spewing water out across the deck while it thrashed about like a giant, mad snake the size of a horse. Immediately, the tube struck two of the Fomorian crew, slapping them off the deck and over the side as if they had been hit by a giant fist. “That be it?” Conrad asked suspiciously. Hunter shook his head. “On that style of vessel, all the lightning cannon share a single flow from the water tanks. Quite the engineering flaw, I’d say. In any case, the salinated water does more than just carry a charge from a lightning cannon,” the captain explained, “It acts as a temporary ground. Remove the ground …” Hunter let his words trail off. “And the lightning starts going elsewhere!” William replied, in wide-eyed astonishment. At that moment, the familiar throb of power hummed from the Revenge’s weapons, despite the shouts from its crew to cease fire. Electricity crackled angrily just before capacitors deep under the deck released their burden! Water gushed forth, but with the loose tube flailing about, the precious water pressure dropped to a pathetic trickle. Salinated water streamed onto the deck. Crews leaped in panic away from the cannons just before the capacitors overheated, exploding like bombs. The resulting fireball shook the Revenge, finally ejecting the ruined lightning cannon with the missing water intake tube. The cannon flew up, off the ruined deck and over the side, leaving a steaming, gaping hole in the Revenge’s armor. This entry was posted on Monday, December 12th, 2011 at 1:45 am	and is filed under Dead Men's Tales. You can follow any responses to this entry through the RSS 2.0 feed. You can skip to the end and leave a response. Pinging is currently not allowed. As this one was a continuation of the last episode, the musical choice for this episode would be “Anvil of Crom” composed by Basil Poledouris for Conan the Barbarian. This just seemed a perfect match for the content.